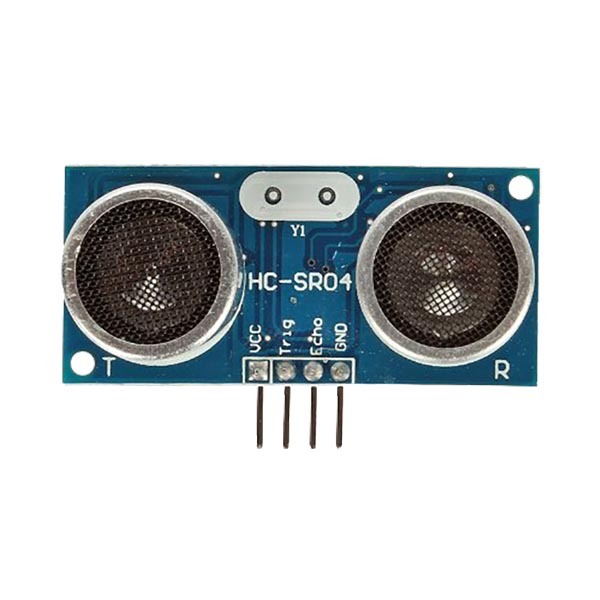 The HC – SR04 Ultrasonic sensor module provides 2cm – 400cm non-contact measurement. The HC – SR04 Ultrasonic sensor module provides 2cm – 400cm non-contact measurement, with an accuracy of up to 3mm. The modules includes an ultrasonic transmitter, receiver and control circuit. A short ultrasonic pulse is transmitted at the time 0, reflected by an object. The sensor receives this signal and converts it to an electric signal. The next pulse can be transmitted when the echo is faded away. This time period is called cycle period. The recommend cycle period should be no less than 50ms. If a 10μs width trigger pulse is sent to the signal pin, the Ultrasonic module will output eight 40kHz ultrasonic signal and detect the echo back. The measured distance is proportional to the echo pulse width and can be calculated by the formula above. If no obstacle is detected, the output pin will give a 38ms high level signal. Test distance = (high level time×velocity of sound (340M/S) / 2. Applications include distance measurement, level detection, mapping, obstacle detection, etc. Senses as programmed. Will buy more!